2017 has seen a stellar line-up of exhibitions of African art in France. This prominence has brought the art of this vast continent of 54 countries to the forefront of the Parisian scene. 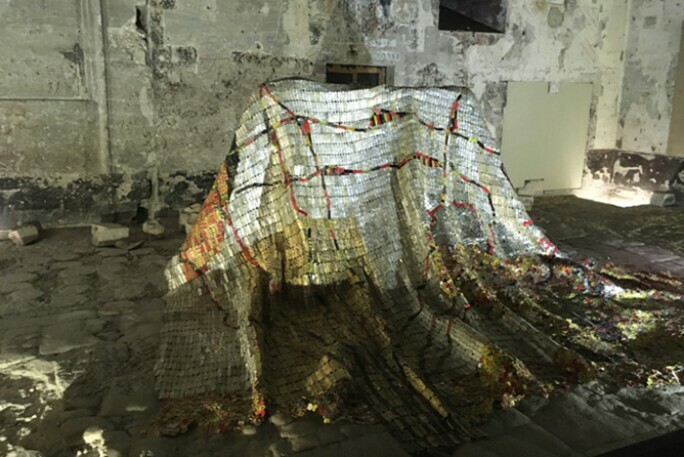 Sometimes referred to as 'a fad', African art, both from the continent as well as from the Diaspora, is putting its mark on the French cultural landscape and these summertime exhibitions throughout France act as irrefutable proof. CHÉRI SAMBA, J’AIME LA COULEUR, 2003. Fondation Louis Vuitton is currently host to Art /Afrique, le nouvel atelier, an exhibition dedicated to Africa which includes two different spaces: Les initiés. Un choix d’œuvres (1989-2009) dans la collection d’art contemporain de Jean Pigozzi and Etre là. Afrique du Sud, une scène contemporaine. Showcasing for the first time in Paris, 'Les Initiés' features a selection of works from fifteen artists in the Jean Pigozzi collection. The works reveal both the eye of the collector and the diversity of artistic creations from the continent. The scenography, designed by Marco Palmieri, dedicates a colourful space to each artist accentuating the aesthetic qualities of each piece. The choice to focus on South Africa is based on the formidable dynamics of this scene which in part is thanks to the work of galleries, universities and institutions who are actively involved in the recognition of these works. It presents three generations of artists, whose considerations echo one another in their chosen themes, as well as 'the positioning of artists with regard to the management of an economic and social situation, that they are aware of, and genuinely believe they can influence and modify.' In parallel to these two exhibitions, the Foundation's top floor presents works from the collection, inviting us to reflect on the evolution, history and identity of the contemporary African art scene, particularly within a broader global artistic landscape. GARETH NYANDORO, STALL(S) OF FAME, 2017, AT PALAIS DE TOKYO. 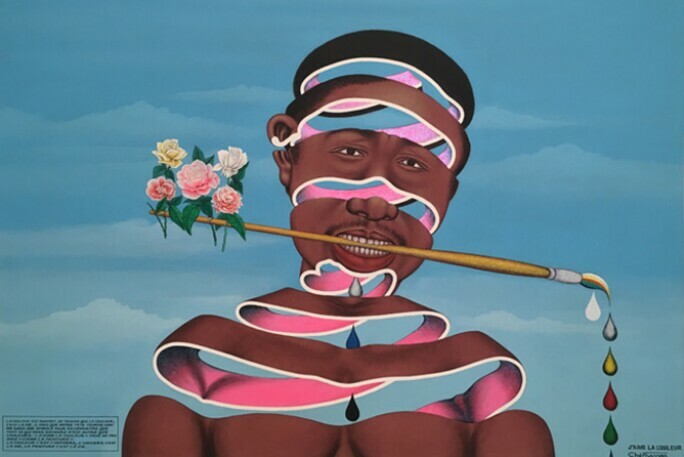 Also in Paris, the Palais de Tokyo presents the first French solo exhibition of Zimbabwean artist Gareth Nyandoro. 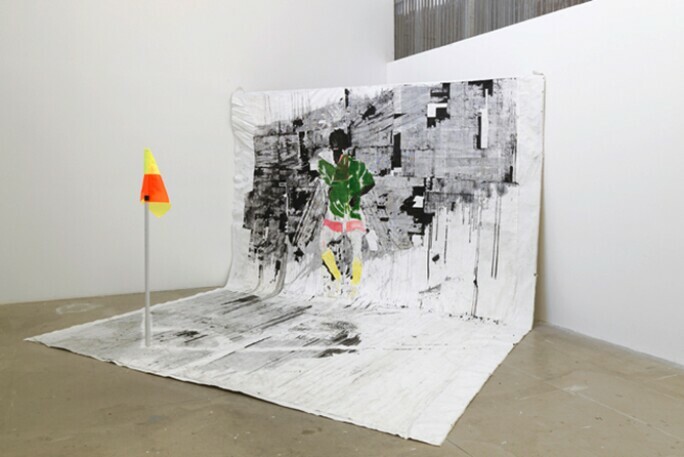 Integrating famous figures from Africa's sporting, social and political life, Nyandoro uses ink on large sheets of paper, superimposed through a technique that the artist calls 'Kuchekacheka', to depict scenes of everyday life. Once the patterns are applied to the sheets, Gareth Nyandoro cuts and lacerates the pictorial layer into thin strips, each incision revealing the colours of the sheets underneath. The network of incisions amplifies the represented movements and blurs the figures, creating works that lean towards abstraction. The installation at the Palais de Tokyo, Stall(s) of Fame, is inspired by urban spaces and temporary sales stands — such as Parisian booksellers' boxes on the banks of the Seine — and questions a humans place within his environment. The selection of works on display fans out within the space, playing on the fine line between two-dimensional collages and sculptures. 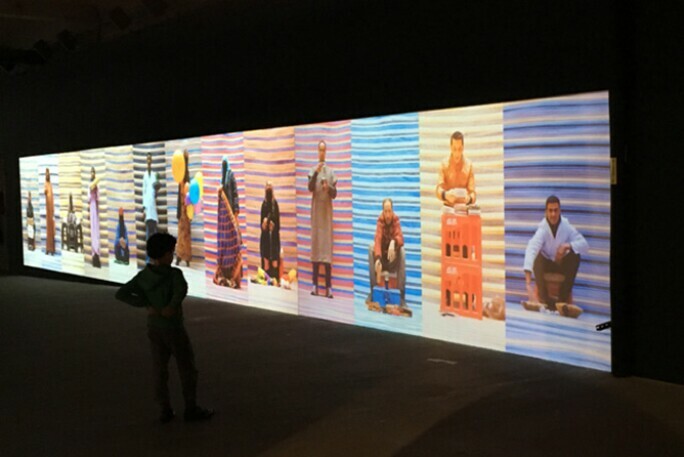 PHOTOGRAPHIC INSTALLATION BY HASSAN HAJJAJ AT GARE SAINT SAUVEUR. The second part of the Afriques Capitales exhibition, Vers le Cap de Bonne-Espérance is an echo to its first, Métropolis, which left its mark in Paris last spring. The Lille version of the exhibition presented at the Gare Saint Sauveur as part of Lille 3000, spreads out over 1500m2 and displays the works of thirty artists from some fifteen African countries, ranging from the Maghreb to South Africa. Exhibition curator Simon Njami takes us on a journey through the eyes of different generations of artists, using a wide array of mediums. The pieces, whether poetic, social or political, offer a committed and critical vision by cosmopolitan artists whilst also communicating a new and promising outlook on creation, freed from all constraints: "The capitals of the world have this in common that they do not really belong to anyone, they work as free zones: xenopoleis" – Simon Njami. 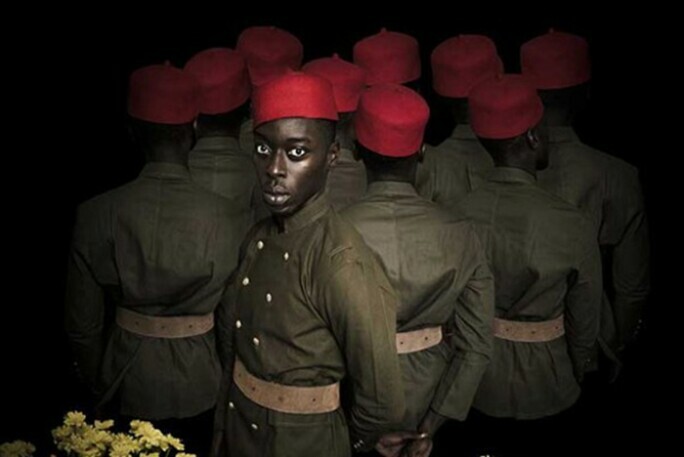 OMAR VICTOR DIOP, THIAROYE 1944, 2016. Visitors to the Museum of Natural History in the north of France will have the opportunity to witness a conversation between classical and contemporary art. Showcasing the collection of the Dakar based Théodore Monod Museum alongside work by fourteen contemporary artists, the current exhibition at the Natural History Museum acts as a testament to the richness of both past and present African creation and offers an exploration of questions of social, cultural, political and religious values. Featuring 400 of the 5000 piece collection, Eric Mezil, head of the Fondation Lambert, presents a selection of works from the agnès b. Collection. Despite focusing on her political work and commitments, Mezil wished to highlight the famous designer's visions through themes such as adolescence, rock music, Africa and the Orient. With an entire room dedicated to African creation — an interest that started with the 1989 exhibition Magiciens de la terre at the Centre Pompidou — the selected works show her, as well as local artists, dedication to both popular themes but also those derived from local beliefs. Here, the works of Seydou Keita, Frederic Bruly Bouabré and Chéri Samba are displayed on an equal footing alongside the works of Andy Warhol, Simon Hantai and Keith Haring. Also on display in Avignon is Jean Paul Blachère's collection of sculpture. Featuring a selection of 70 works from a collection of about 1,800 — on display for the first time outside of the eponymous foundation—this exhibition is elegantly spread out across four distinct parts of the city: the Palais des rapport, the Lapidaire Museum, the Calvet Museum and the Musée du Petit Palais. Sculpture takes pride of place within this exhibition as evidenced by the, largely monumental, sculptural works on display throughout the city. Together, the works are the expression of a quest. An ever-renewed thirst for discovery that helped bring Blachère back to life after an accident resulting in the paralysis of his legs. As Blachère explains, Africa "appeared to him as a revelation, an enchantment... the collection was built in wonderment at the discoveries and encounters, much as an explorer in search of talent and humanity."